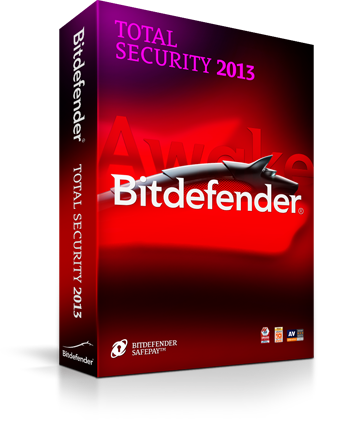 Bitdefender 2013, the evolution of the #1 ranked antivirus technology - Mac repair Specialist/ Macbook Pro/Macbook Air/ Macbook Retina/iMac and beyond. 1 Bitdefender Total Security 2013 builds on #1 ranked antivirus anti-malware technology to secure online transactions, protect mobile devices from loss/theft, automatically back up files, and Tune-Up PCs. 2 #1 Ranked Antivirus Software! 2.1 AV-Test Top Choice in 2011 and 2012! 2.2 Anything Less is Second Best! 3 Not just any security.. Silent Security! 4 Bank & Shop online with complete confidence!